New detailed images of the Sun's outer atmosphere – called the corona – reveals that the solar layer is not smooth as was previously thought, but is structured and dynamic. 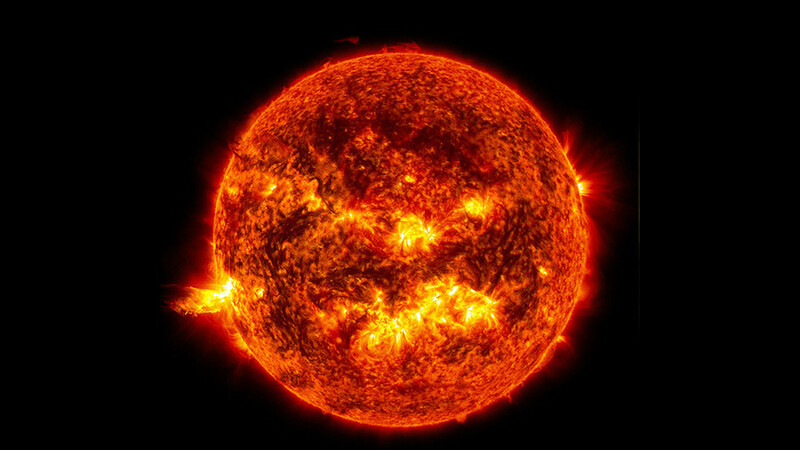 The sun’s corona is extremely hot, and is the source of solar wind– the charged particles that flow from our star. It has been difficult to understand how the turbulent solar winds get that way, with earlier images of the corona showing it to be a relatively polished surface. "Previous images showed the outer corona as a smooth structure, but in deep space, the solar wind is turbulent and gusty," researcher Dr. Craig DeFores said. Using new imaging techniques, the team “realized that the corona is not smooth, but structured and dynamic,” DeFores added. “Every structure that we thought we understood turns out to be made of smaller ones, and to be more dynamic than we thought." The Southwest Research Institute team used a COR-2 coronagraph in NASA's Solar and Terrestrial Relations Observatory-A (STEREO-A) to make the discovery. A coronagraph uses an occulating disc which is placed in front of the lens and blocks out the sun, so as to capture the find details of the plasma of the Sun’s atmosphere without it being blocked by the Sun.